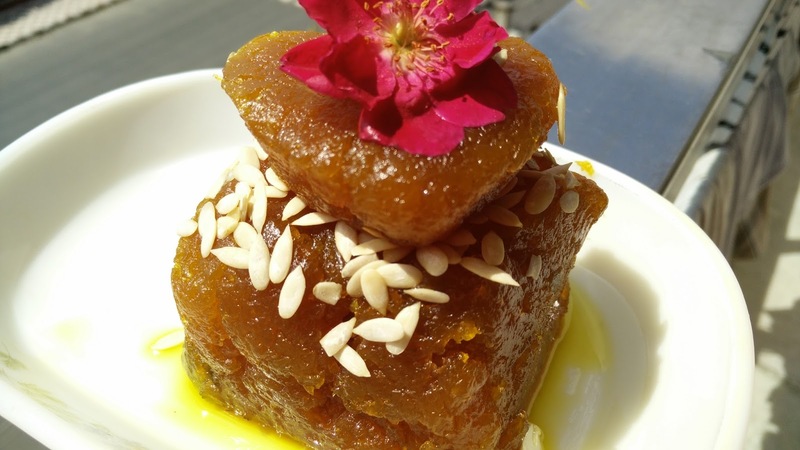 Pumpkin halwa is a traditional Indian dessert or sweet which is made without milk. Though it sounds quite boring to make pumpkin halwa but tastes delicious. In a Kadai, heat ghee, cardamom and add pumpkin. Cook it till the quantity of pumpkin reduces. Add sugar at this stage. Cook the material till pumpkin turns brown. It will take 20-25 min to cook. Keep stirring while the pumpkin cooks and leaves the sides of the Kadai or pan. Serve hot and garnish with melon seeds and almonds.